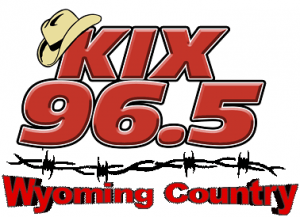 Working in radio has allowed Brady to live in numerous states including South Dakota, Minnesota, and Iowa, before settling out west in beautiful Wyoming. Brady is originally from Illinois and decided he wanted to get into the radio business because he didn’t want a real job. Spinning records (ok we don’t spin records anymore) and entertaining listeners sure sounded better than digging ditches or stamping license plates, so after finishing high school Brady went to broadcasting school at Brown College in Minnesota. Brady’s favorite part of his job is calling high school sports for the Buffalo Bison and Lady Bison. In his spare time, Brady likes to go hiking with his dog, camping, and especially fishing! He listens to all types of music, but really loves to jam out to almost anything from the 1990’s. Live Mid Day Show | Erik B.
Erik is originally from Ohio, and moved to Wyoming in 1990 to be closer to family. Erik has remained involved in the community participating in such activities as emceeing local events. “The listeners is why I love doing radio, if I can provided a little humor to their day then I have done my job” Tune in every weekday at 10:00am to Erik. Buy, Sell, Trade, Rent or Giveaway. Tune in weekday mornings on Cowboy Swap where they help you find what you’re looking for and sell what you don’t need. Number to call is 684-9501 or 672-9501!